With Valentine’s Day right around the corner, now is the time to round up some fun craft ideas for the day of love and get to work. 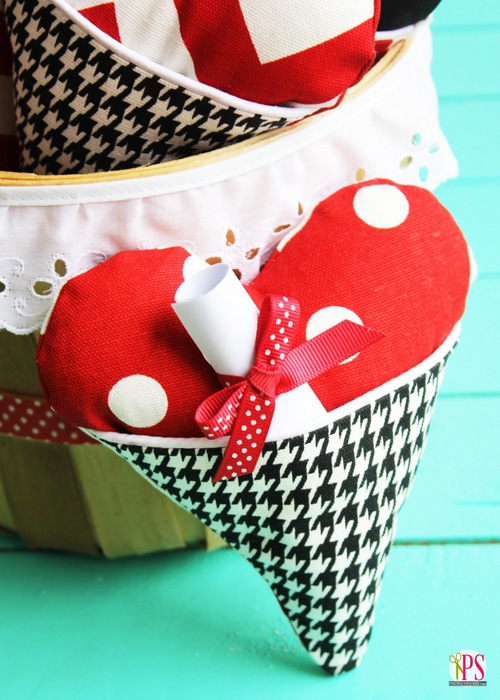 Today’s free sewing pattern will enable you to make two fun valentine projects: a heart pocket pillow and a heart-shaped treat bag. Either one is sure to be a hit with your sweetheart! 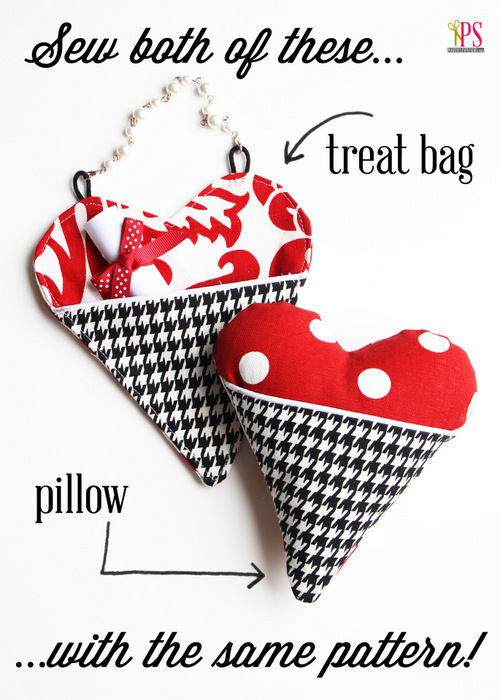 To begin, download and print the free Heart Pocket Pillow/Treat Bag Pattern. For both the pillow and the treat bag, begin by cutting out all of your fabric pieces. 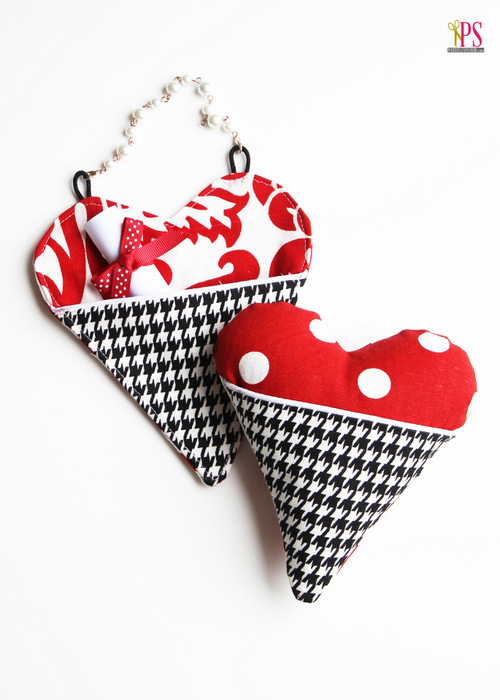 You will need 2 heart pieces and 2 pocket pieces for each pillow/bag. 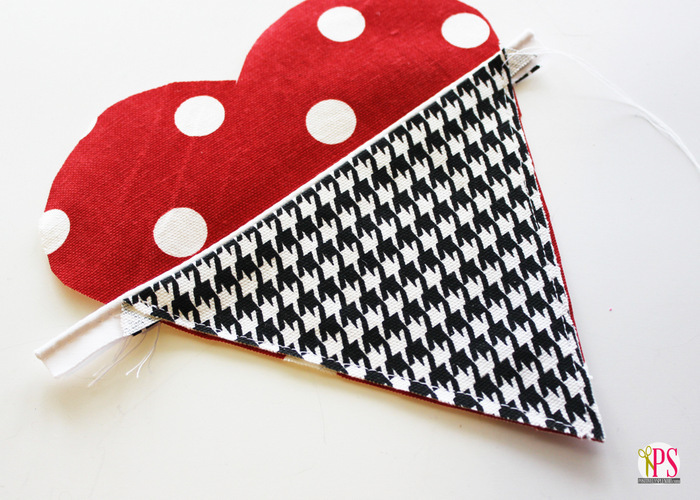 If making a bag, you will also need 1 heart piece cut from the Decor Bond. 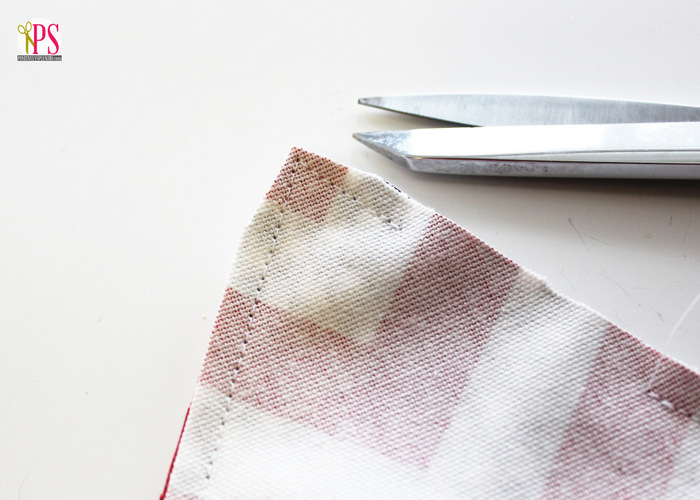 Make sure as you cut to make a notch or a mark at the top center of the pocket pieces (designated on the pattern with a black triangle) to ensure you know which is the top edge of each. 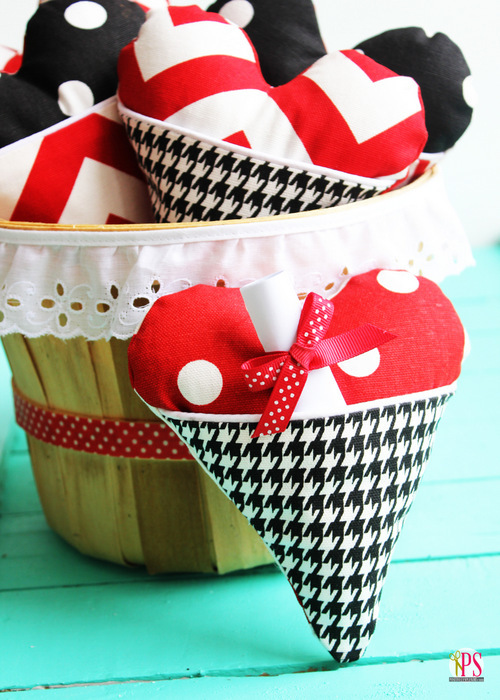 If you are making a treat bag, fuse the Decor Bond to the heart piece that will be on the front of your bag. Set this piece aside for now. Lay one of the pocket pieces face up on your work surface, and align the raw edge of the piping with the top edge. Pin. 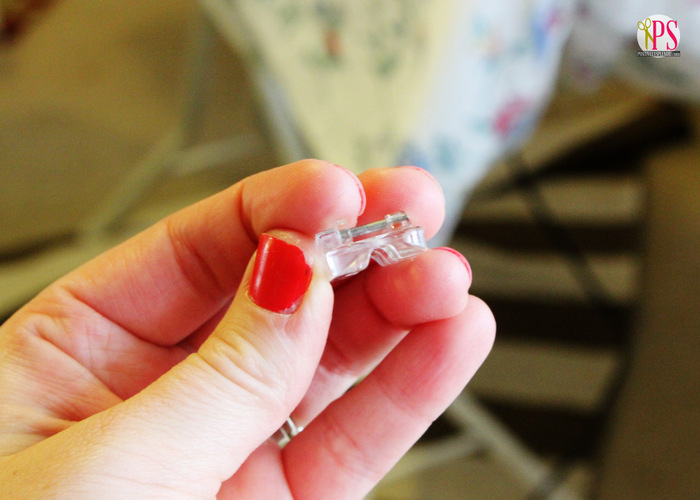 Using a zipper foot (pictured below) baste the piping to the pocket, stitching about 1/8″ or so from the piping. You can complete this step with a regular foot, but using the zipper foot will prevent the piping from getting in the way as you stitch. Lay the piping/pocket piece face up on your work surface, and place the other pocket piece on top, face down, so that the right sides of each piece are facing. Pin. 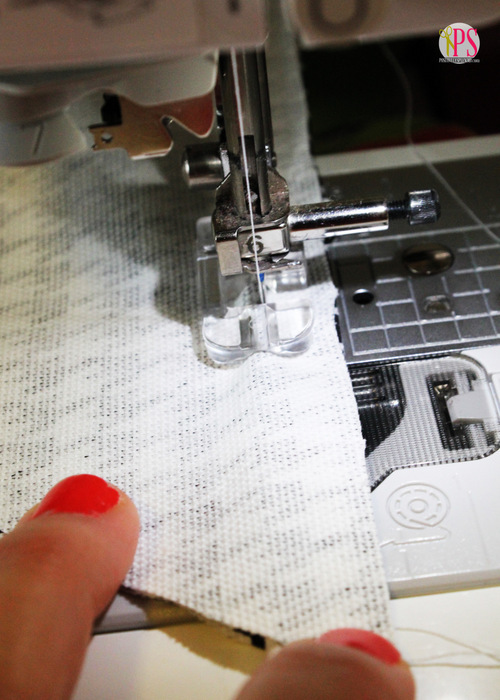 To sew both pocket layers together, you can use your zipper foot to stitch as closely to the piping as possible. However, I recommend using what is known as a piping foot (pictured below) for the most professional results. 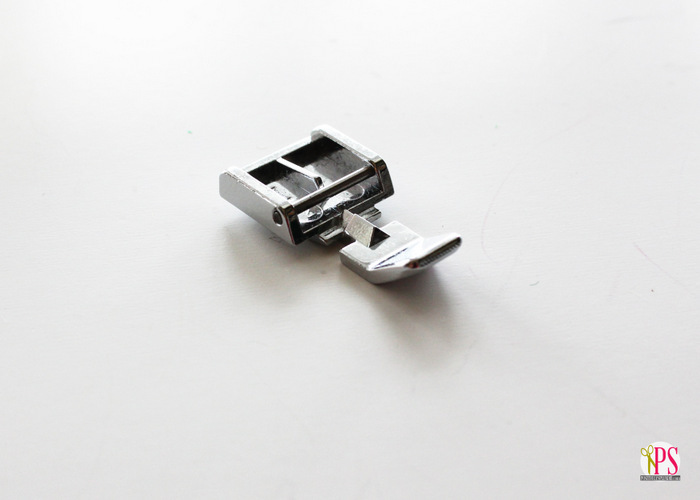 As you can see, a piping foot has a groove on the bottom that the piping is guided through as you sew. 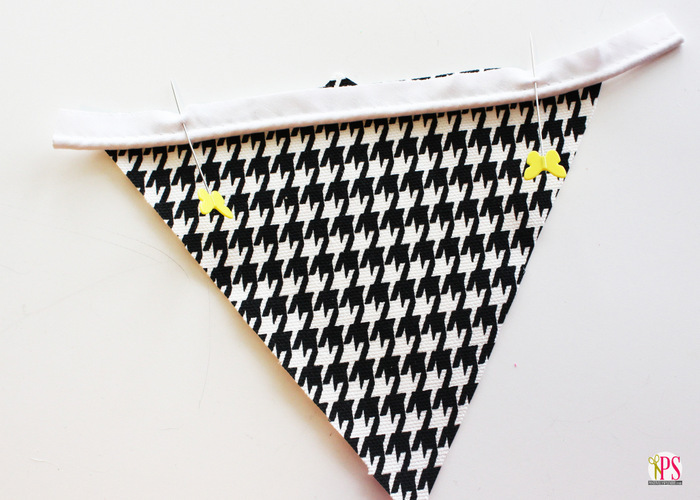 It honestly makes sewing piping even easier than sewing a regular seam! Regardless of which foot you choose, stitch the front and back pocket pieces together along their top edges. Fold the piece over at this seam, so that the pocket is now right-side out; press. Lay one of your heart pieces face up on your work surface and place the completed pocket piece on top, lining them up at their bottom points. Baste these pieces together 1/8″ from the edge, as shown. If you are making a treat bag (or if you would like your pillow to have a handle), baste two 2.5″ loops of cording to the top curves of the heart, as shown. Note: If you prefer, you can also make a ribbon handle with a 6-7″ piece of ribbon. Place the remaining heart piece on top of the heart/pocket piece, right sides facing, lining up all of the raw edges. Pin. 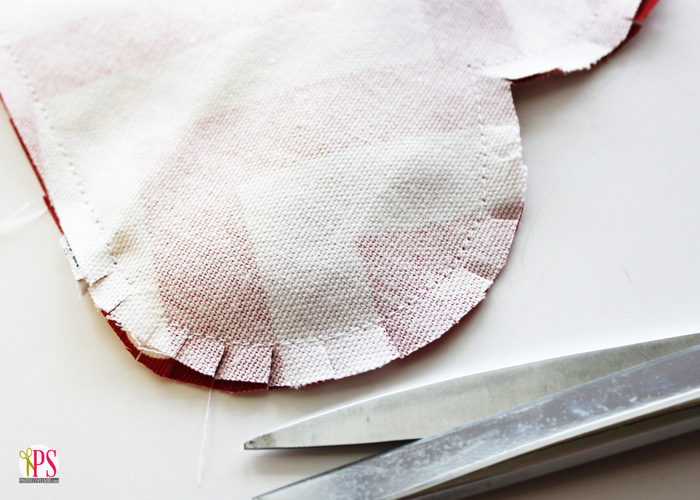 Stitch through all layers with a 1/4″ seam allowance around the perimeter of your heart, leaving a 2-inch opening along the left side, as shown. 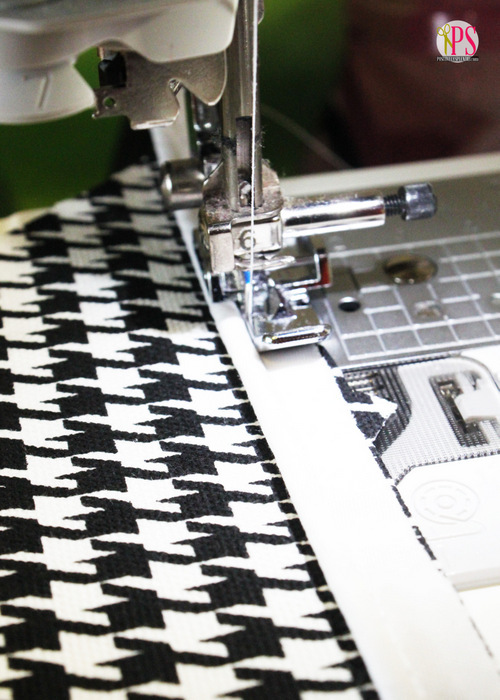 Be sure to back-tack at the beginning and end of your stitching. Trim away any excess piping, and clip the top curves and trim the bottom point, as shown. Turn the assembled heart right-side out, paying special attention to the top curves and the bottom point. Press. Note: The above steps are the same regardless of whether you are making a pillow or a treat bag. Below you’ll find the separate instructions for how to finish each project. 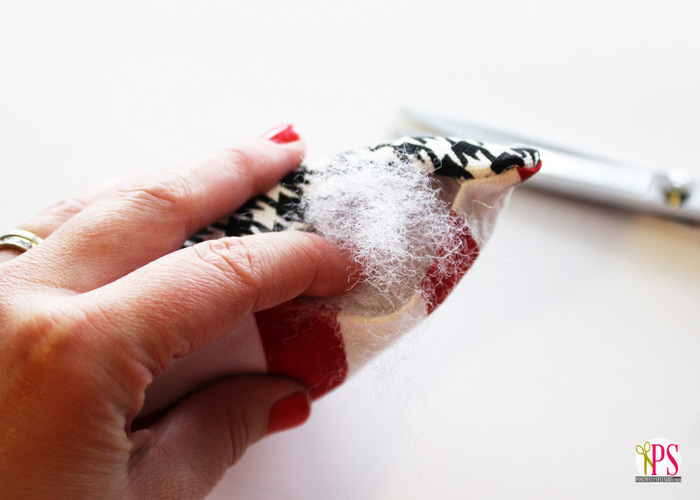 If you are making a pillow, stuff the piece with fiberfill and stitch the opening closed by hand. You are finished! 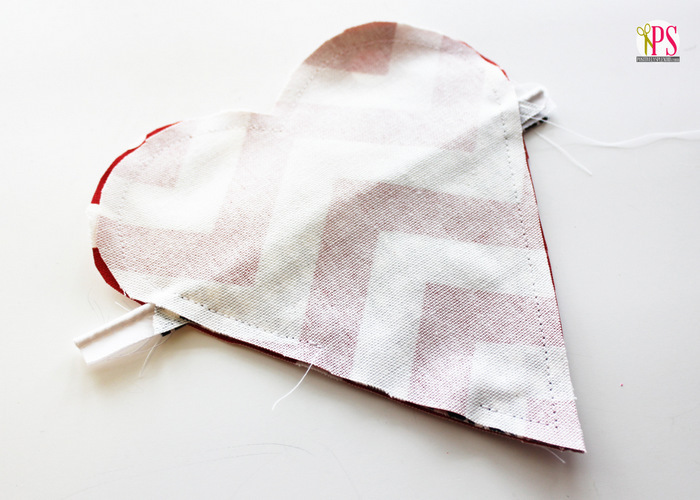 If you are making a treat bag, simply stitch around the entire perimeter of the heart, closing the opening as you go. Press. Attach a pretty bracelet, chain, or a piece ribbon to the cording loops at the top of the bag to finish. I attached a pearl bracelet from Styled by Tori Spelling Glitz line to mine. So pretty! 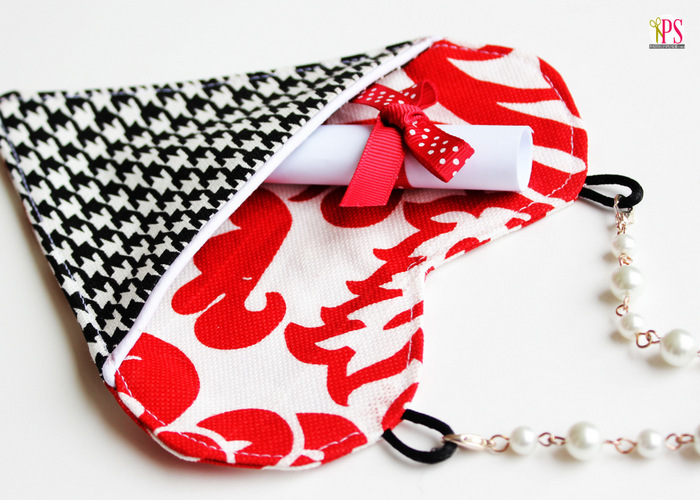 …and Darling Heart Treat Bags! Happy sewing, everyone! Thanks for stopping in. This is a compensated post written by me on behalf of Styled by Tori Spelling and Darice. Rest assured that I am dedicated to sharing only products that I feel my readers will benefit from and enjoy, and all opinions expressed in this post are entirely my own. Absolutely adorable!!! I love the colors and pattern. My favorite would be the one with the pocket. Love it!! So super cute Amy! I love them! This is cute, and I like the versatility of the pattern. You could hang several in a row and make a garland! 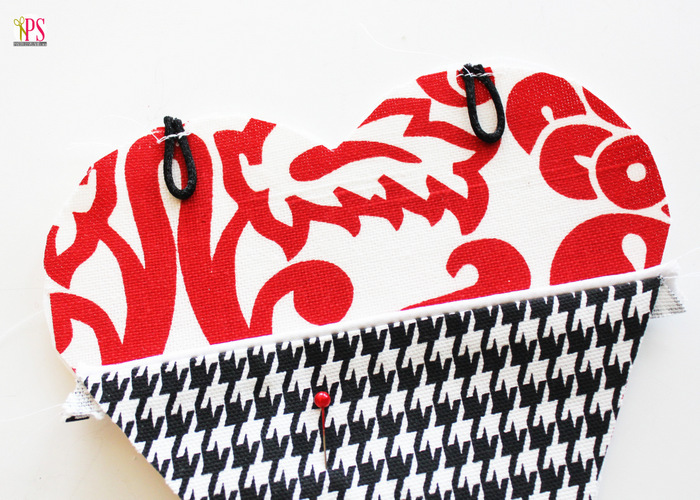 Love this idea and I’m always drawn to black white and red. I’m having a Valentine link party going on now and would love you to link up. 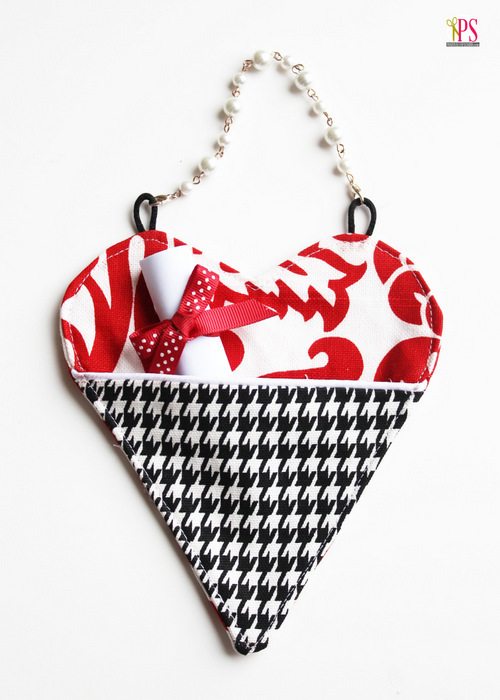 This is such an inspiring craft for Valentines Amy!